In early 2005 Margaret Jankowski read an article about a woman who had lost her sewing machine in the devastating tsunami that had recently hit Southeast Asia. The woman had saved for years to buy that sewing machine and had also lost her sole means of earning an income when she lost her machine. Margaret was inspired to start The Sewing Machine Project, and she immediately began collecting donated sewing machines and then shipping them to Sri Lanka. Later that year, when Hurricane Katrina hit New Orleans, Margaret shifted her attention to that area of need and has since made five trips to the city from her Madison, Wisconsin home to deliver more than 350 sewing machines, which were distributed to individuals, community centers, and schools. Margaret also encourages all sewing machine recipients to participate in a Pay It Forward program, where they volunteer to do sewing-related projects for other community groups, such as sewing infant caps for the local children’s hospital, or teaching other groups to sew. The Sewing Machine Project has grown tremendously over the last four years and is making great strides in helping others to rebuild their lives, as well as helping some to start small sewing-related businesses. 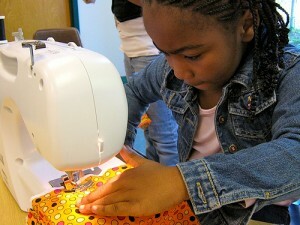 Visit TheSewingMachineProject.org to learn more about the organization or to donate a sewing machine. If you’d like to help out but don’t have an extra machine to donate, the group will also take monetary donations. Are You Using The Right Sewing Machine Needle? 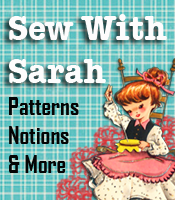 Looking For A Sewing Machine To Teach A Child To Sew?